Established at a time when China is taking up the challenge to become a leading force on the global stage, Xiwai International School focuses on preparing students not only for higher levels of education, but, more importantly, for an increasingly boundary-less world. The School thus aims to cultivate within each of its students a balance of Chinese wisdom and a global perspective. The School strives to achieve this purpose through the delivery of quality programs which foster excellence in all areas of a student’s development, within a stimulating and nurturing residential environment. Students are encouraged to think independently, creatively and critically, and are motivated to achieve their potential intellectually, artistically, and athletically. We take character building as our School’s ultimate value; it permeates all aspects of Xiwai’s endeavours, and finds its finest expression in the high level of intellectual and social commitment of each member of our community. 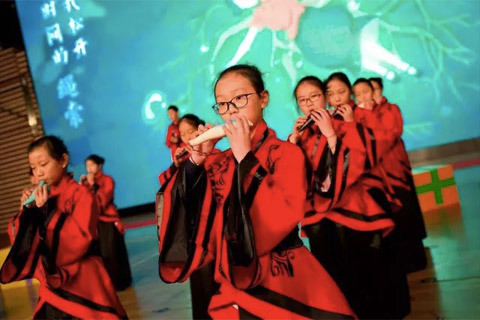 In order to carry forward the national culture, XIWAI International school started to have ocarina project since 2009, more than 4000 teachers and students join the program. They participate in urban community shows, concerts and different festivals, and awarded many prices. 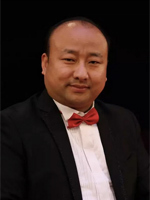 Deputy secretary of Chinese national orchestra of ocarina, Art Director of XIWAI Internation School.